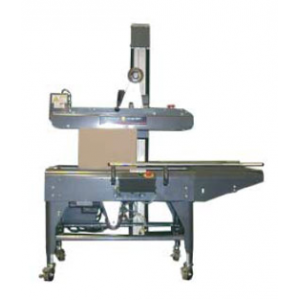 An economical top and bottom case taper with a small footprint for sealing large runs of uniform cases, or for those applications that require infrequent case size changes. 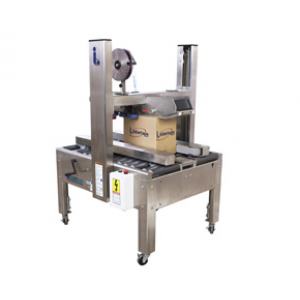 The state of the art top and bottom case taper for sealing boxes effortlessly from 2.62" to 34" in height. 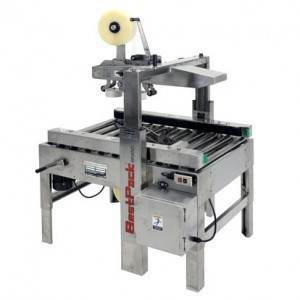 This unit incorporates a sealed drive, an internally mounted electrical systems and includes the infeed pack table. 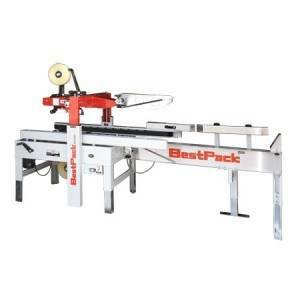 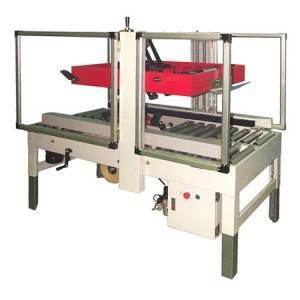 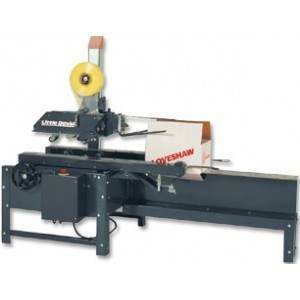 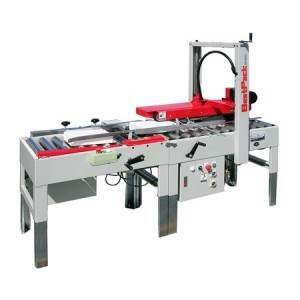 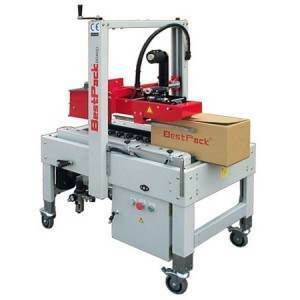 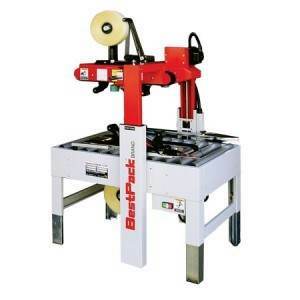 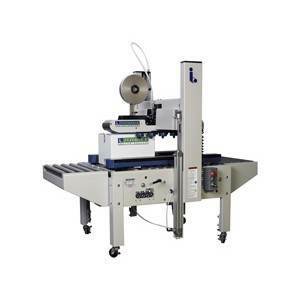 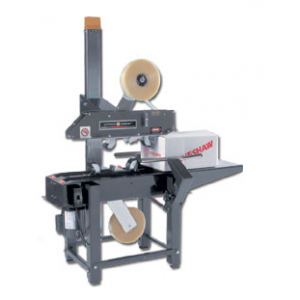 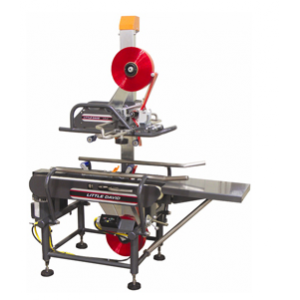 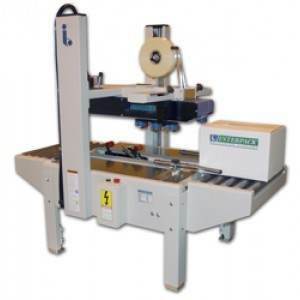 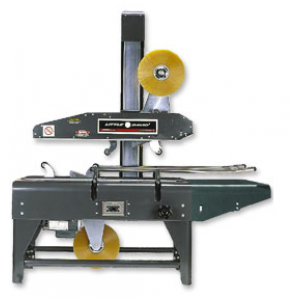 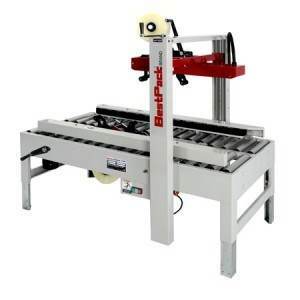 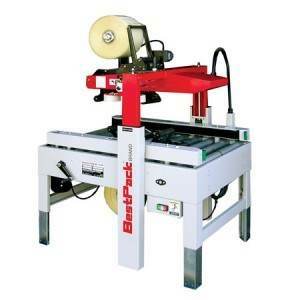 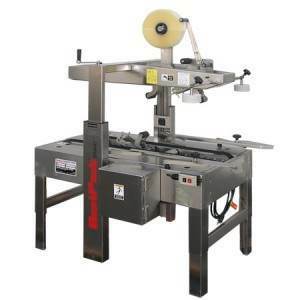 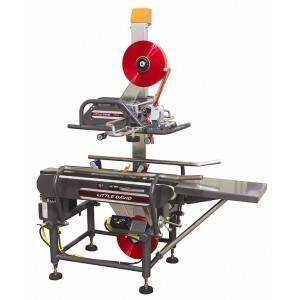 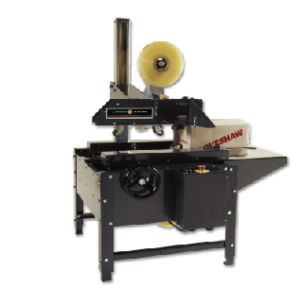 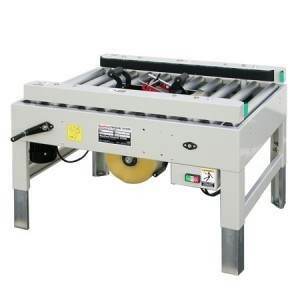 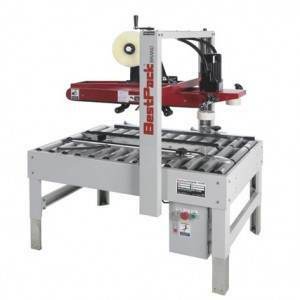 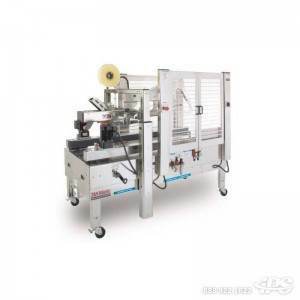 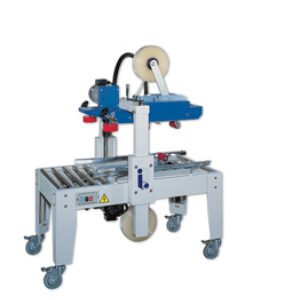 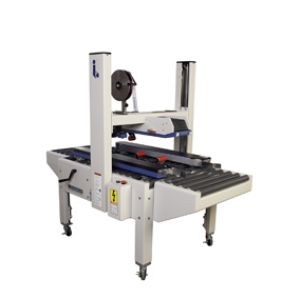 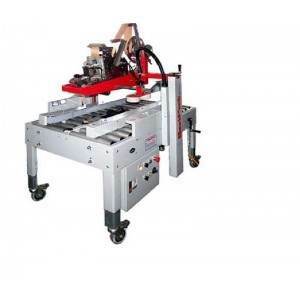 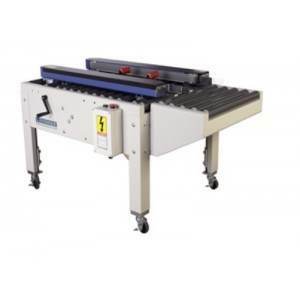 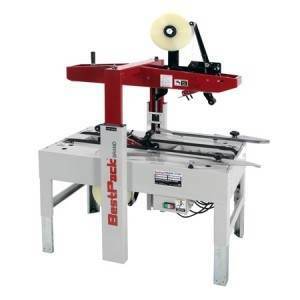 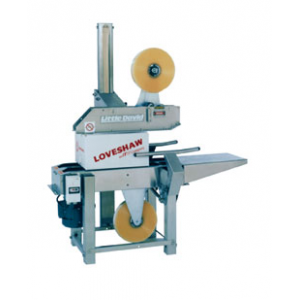 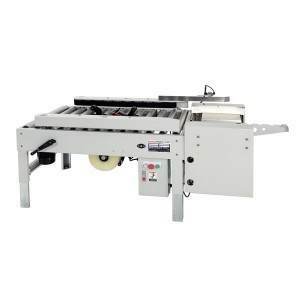 This side belt driven tape sealer is recommended for dimensionally unstable boxes, lightweight boxes and boxes as narrow as 3-1/4". 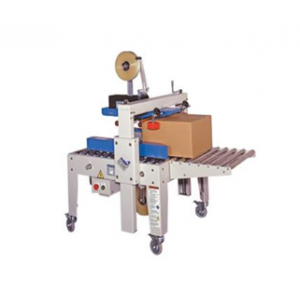 Can be used for setting up empty boxes with bottom tape only.